Okay so if you follow me on Instagram you know my love of all things coffee, sweets, and baked goods...but as much I love everything that is bad for me, I try to balance it out with working out and actually eating right. 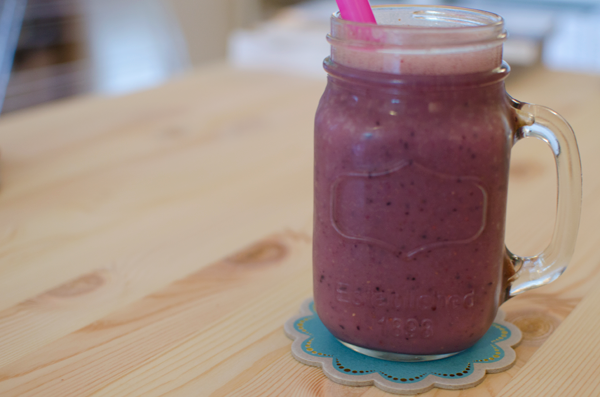 My husband and I have been making more and more smoothies and protein shakes. But there is only so many strawberry banana protein smoothies a girl can have. That's why Greenblender is here to save me. 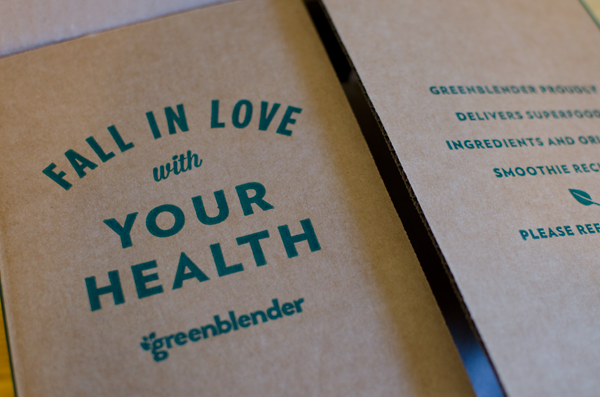 Greenblender is a weekly smoothie delivery service. 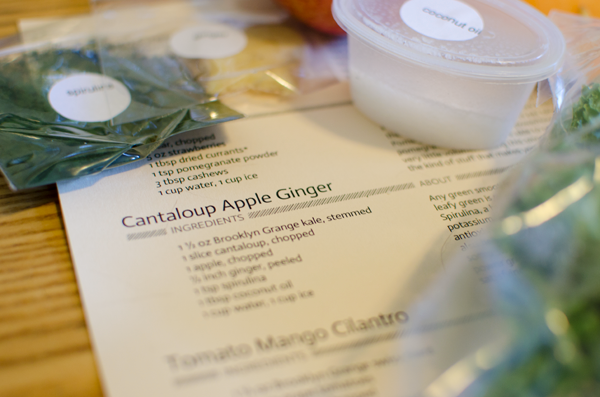 Every week you'll get a box full of delicious ingredients and smoothie recipes sent to your door. This is a week's worth of smoothies until you get the new box! 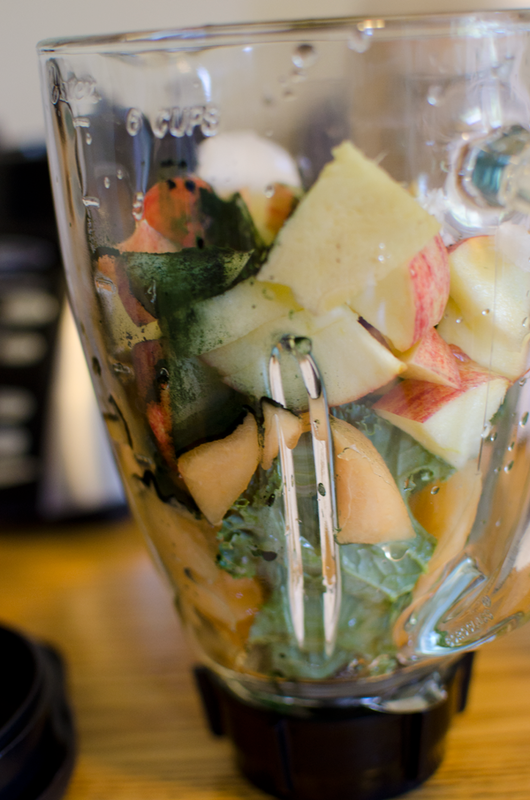 Say goodbye to your boring smoothies. My smoothie box contained an interesting mix of veggies and fruits. One of the best parts about Greenblender is that the send you a list of recipes for your box of ingredients. 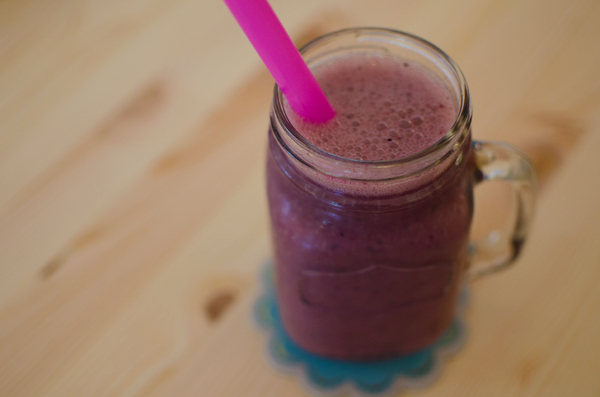 If nothing tickles your fancy, you can go on their web page to find a listing of all their smoothie recipes (find it all here). 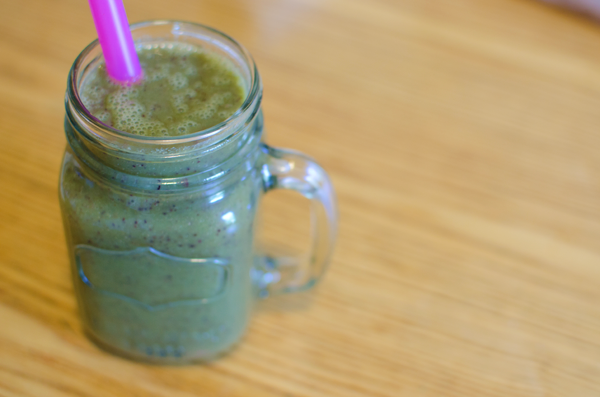 If you're like me you might be hesitant of trying anything green...but this is the time to try it. You have all that you need and more. 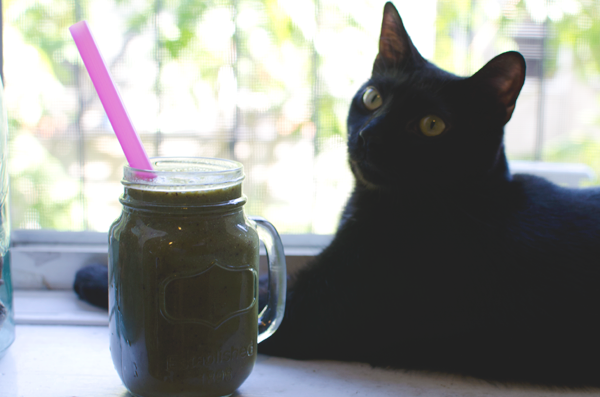 Truth be told...I've never been a fan of kale OR green drinks. 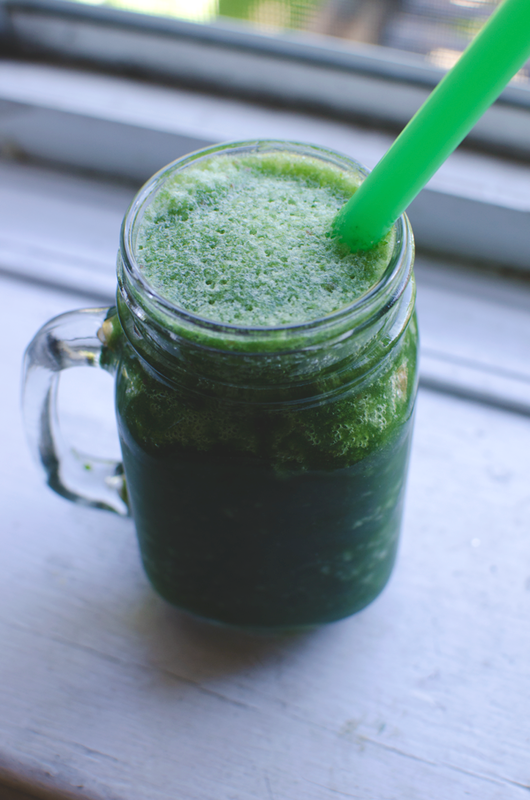 The color and the idea of green veggies being in a drink always threw me off. 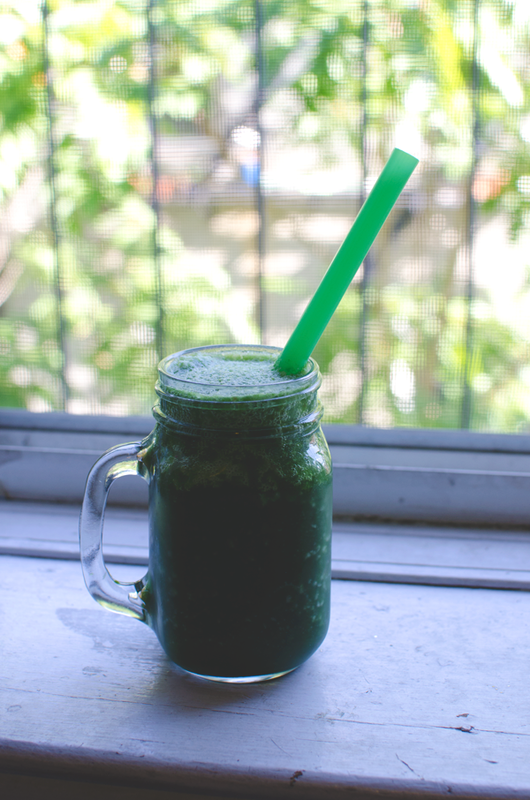 Though this drink is indeed GREEN and has kale in it...it doesn't actual taste green. From the cantaloupe and coconut oil you get this fruity drink feel. 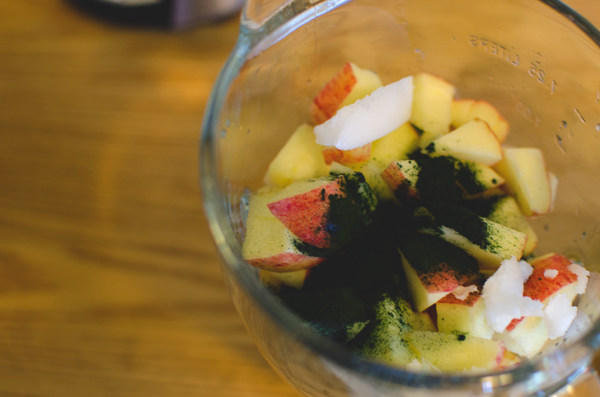 Since the Cantaloup Apple Ginger recipe had me rethinking my initial thoughts about green smoothies I thought I'd give this Hibiscus Peach recipe a try. Plus, I like the Hibiscus donut from Dough Doughnuts. Anyway, the name has peach in it, it has peach in the recipe but I really couldn't taste the peach. For me it had a very strong banana taste, which I am not against by any means. But if you're looking for something peachy this is not it. Thanks to Greenblender we had a lot of yummy fruit and veggies. Since we also had some fruit in our fridge that needed to be used I decided to blend up a little mix of my own, which I would like to call a Strawberry Medley. 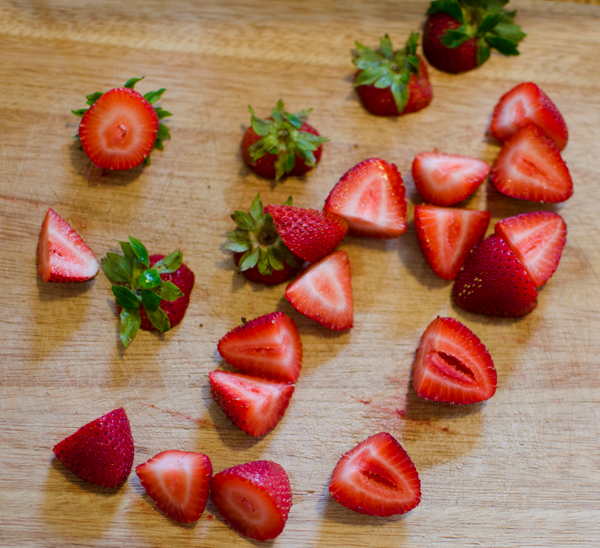 This was a fun take on our usual strawberry protein smoothies that we typically do. 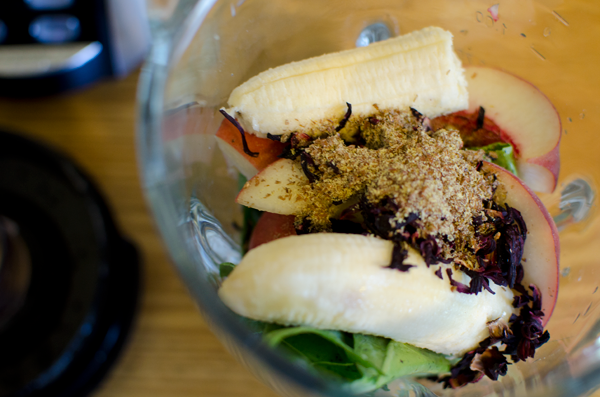 Since our Greenblender came with flaxseed I opted to not add our protein and add the flexseed instead, as it is a good source of dietary fiber and omega-3 fatty acids. This little medley mix was also super freshing. Let Greenblender help you blend up your routine! As a special promo for my readers, get 20% off your FIRST BOX by using the code "HEATHER"
This just made me thirsty and hungry at the same time, but that's a good thing right? Because it's healthy?! 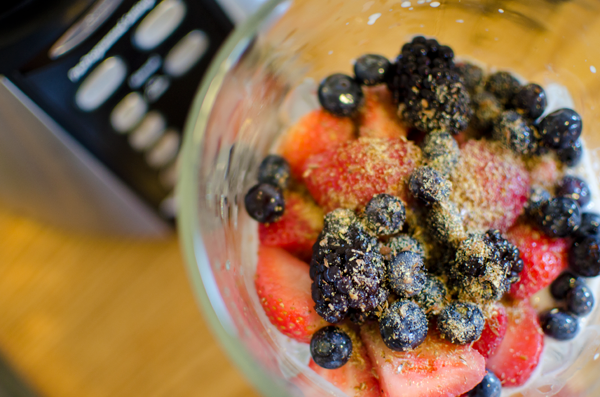 I love this, I'm actually making smoothies tomorrow morning, and now I just can't wait!